Honda’s dual connected navigation system “internavi” collects real-time driving data from cars attached with the system from all over Japan, and presents the best and smart driving route based on real-time conditions. 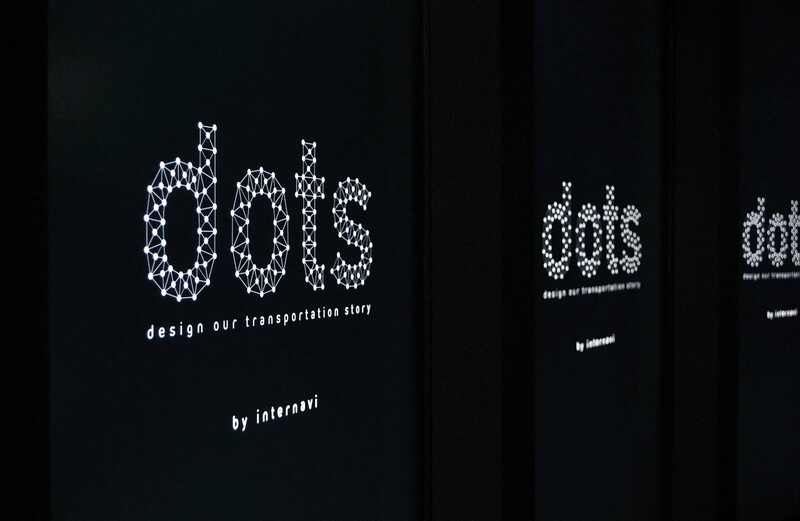 “dots now” is a demonstrational content that is intended to depict internavi’s unique and advanced technology both visually and intuitively comprehensible. 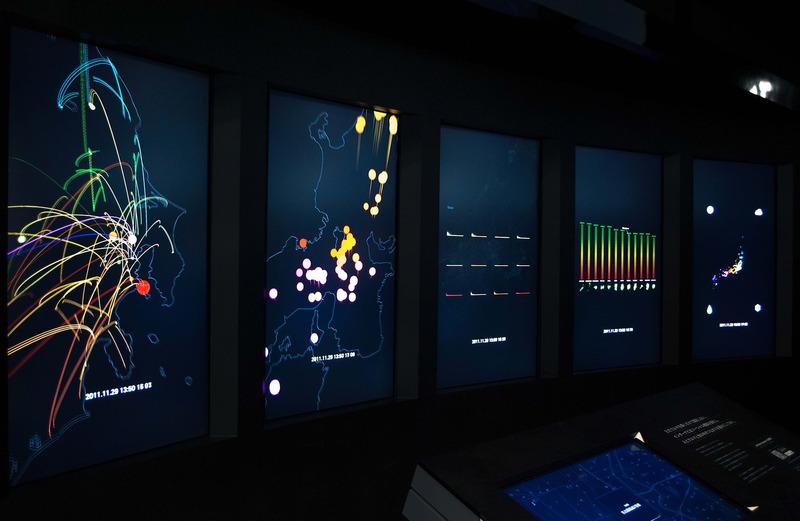 The data collected by internavi is visualized in real-time. 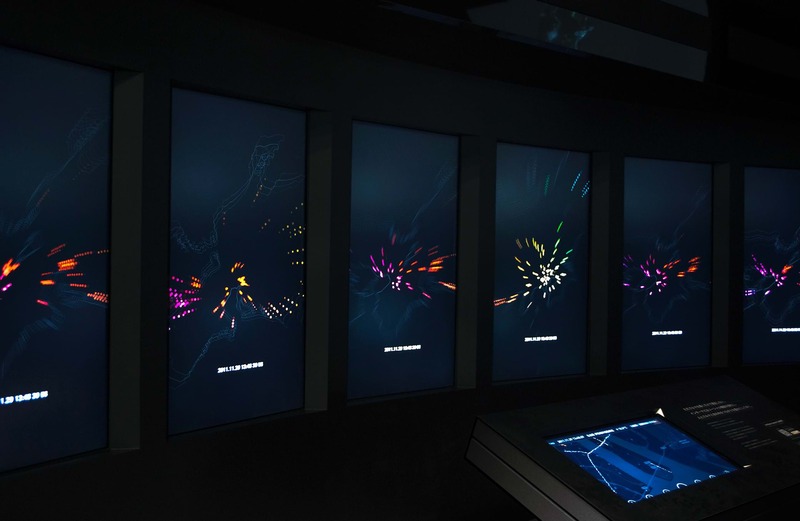 Each of the car is depicted as small dots, and the color change dynamically based on the latest location. 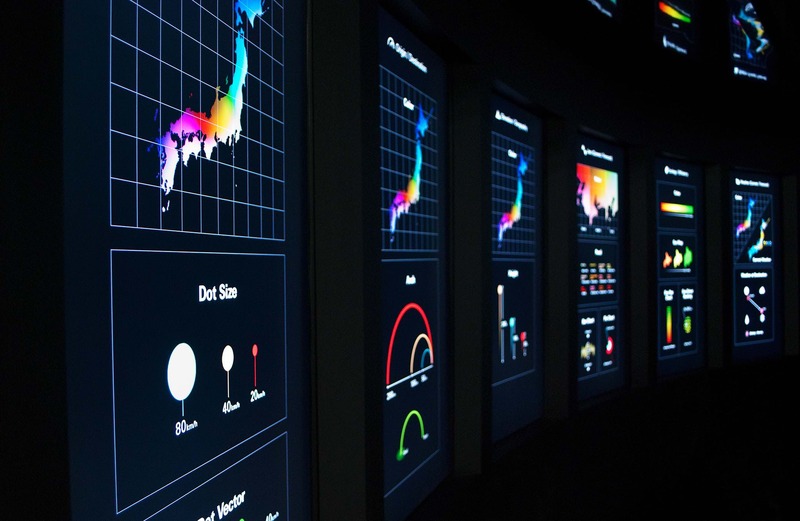 By taking “velocity” “altitude” “destination” “traffic prediction” “weather” and “gas mileage,” all of the cars driving in Japan are depicted as changing animation and describes what situation they are in, and where they are headed to. 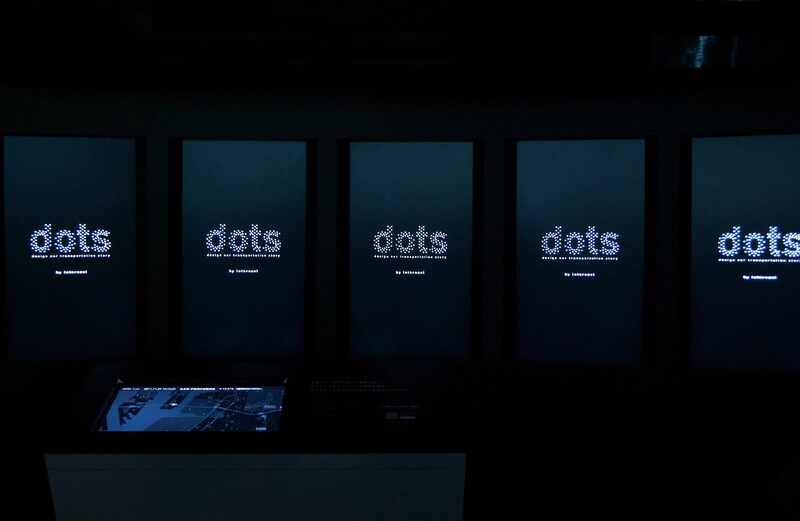 “dots now” was initially launched as a website and a screensaver, but then later on installed at various events such as Tokyo Motorshow with 6 screens and 12 speakers. 本田技研工業株式会社 ／ Honda Motor Co., Ltd.